Optical Filters Ltd has been selected by 3M as their service partner for the supply and cutting of Vikuiti™ protective optical enhancement film. State of the art CNC machining techniques allow us to provide a highly accurate and cost effective method of reworking this screen protection material into standard or complex shapes to meet your exact requirements. 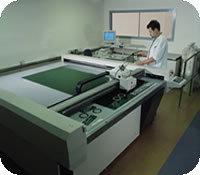 Our vast experience of cutting and handling a wide range of display enhancement materials means you will be working with an organization that has a profound understanding of this exciting new material and the specialist techniques necessary to deliver the material to your precise instructions in the most economical format. LCD displays are extremely fragile. Screen damage costs both time and money, from warranty costs to repair time. Vikuiti™ Anti-Reflection Matte Removable Film ARMR200 helps protect LCD screens from damage and features advanced anti-reflection properties that improve viewing on LCD screens. Protects delicate LCD screens from damage, while improving clarity and readability. Typical values, not for specification purposes.